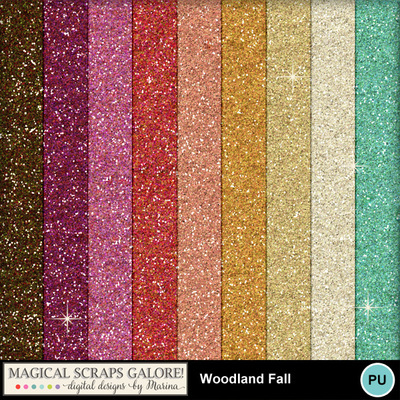 9 seamless glitters to add a touch of sparkle to your layouts, designed to coordinate with the Woodland Fall page kit and pieces. Included are 12”x12”. jpg sheets.